Mission: To bring international exposure to Palm Island Resort, Cape Haze, Florida conservation efforts and to educate the public about “Hope Spot’s – MPA’s” and the “National Marine Sanctuaries Act” program. Meal theme to be sustainable foods, locally grown and caught. Enjoy delicious vegetarian and lionfish dishes and more; specially prepared by the Palm Island Resort chefs! Open Bar with full top shelf liquors and wines! Theme: Tent on the beach under the moon and stars, ocean blue linens and white orchids! Speakers: Dr. Sylvia Earle – Founder Mission Blue / Greg Jacoski – Director Guy Harvey Ocean Foundation / Dr. Bob Hueter – Associate Vice President Research Mote Marine Laboratory / Dr. Billy Causey – Regional Director Southeast Atlantic, Gulf of Mexico and Caribbean Region, National Oceanic and Atmospheric Administration / and special celebrity guest! *Special tribute to Dr. Eugenie “Genie” Clark Founder of Mote Marine Laboratory by her son Tak Konstantinou. Entertainment: Steel Drum Music with a Key West Flavor. Music to be coordinated by Palm Island Resort. Activities: Short films to accompany Dr. Sylvia Earle and Greg Jacoski speaking venues, with additional talks by Dr. Bob Hueter and Dr Billy Causey, with a special Mote Marine Laboratory tribute short film about Dr. Eugenie Clark, Founder of Mote Marine laboratory. “Silent Auction” to feature shark tagging expeditions Belize, Bahamas and Florida island vacations, Submersible Expeditions, Fine Art, NY Best Seller books, Historic Inn on private Florida Island vacation weekend and more by our sponsors and special donors. 17th generation fisherman and owner SRB, includes vessel, fuel & all equipment required. Over the last 15 years Captain Norlan has conducted shark survey studies throughout Belize with SUNY (State University of New York) and University of Miami. Guests will capture, record, tag & release a variety of local shark species, guests will deploy BRUV (Baited Remote Underwater Video) systems recording species present in various reef/atoll locations recording using GOPRO camera systems & footage of expedition will be included in package. Guests will conduct at least one night survey showing an entirely new perspective of the marine environment. Guests will enjoy light tackle sport fishing for reef and pelagic species using local knowledge & local techniques perfected over 17 generations. While most fish will give you a workout, some species around Lighthouse Reef Complex are truly world class—always a bonus. Snorkeling is incredible, with some of the best in Belize, aka the world, while Captain Norlan is PADI certified guests may rent equipment from Huracan at additional cost or bring own, however fee for air is applicable. Includes: Transfers to/from Belize City/Itza Lodge, all meals & use of Itza Lodge facilities and amenities. Excludes: Flights to/from Belize City, taxes, fees incurred in travel. Personal items, medications, vacation beverages of personal choice. If requested by package bidder SRB can increase the number of guests up to 8 total; additional guests would be levied a fee of $75 pp/pd. room & board. This represents a 50% saving on regular Itza Lodge f ees. No additional charges due for SRB expedition 2 to 8 guests. Redeeming certificate: SRB Expedition at Itza Lodge is available to suit guest travel schedule wherever possible subject to existing research commitments (May, June 1st 2 wks. July 2016 blackout) further dates will be unavailable guest encouraged to decide dates & book early. Package valid 20th February 2016–30th April 2017 providing options in trip scheduling. boat transportation for two from Bocilla Marine to Useppa Island Club. World Class fishing, shelling, sightseeing or just relaxing at the Historic Collier Inn & Cottages on Useppa Island. Walk the extraordinary beaches, relax by the pool and enjoy fine dining. 6 guests will join a full-day expedition to explore the health of our coastal coral reefs with the Baseline Explorer crew and OCA team, abouard he 146′ highly sophisicated Research Vessel Baseline Explorer. Joining us for sub rides and observation as the Project Baseline team executes submersibles dives down to as deep at 1000-ft and GUE technical divers collect samples and imagery down to depths of 400-ft in support of a wide range of research and exploration initiatives. 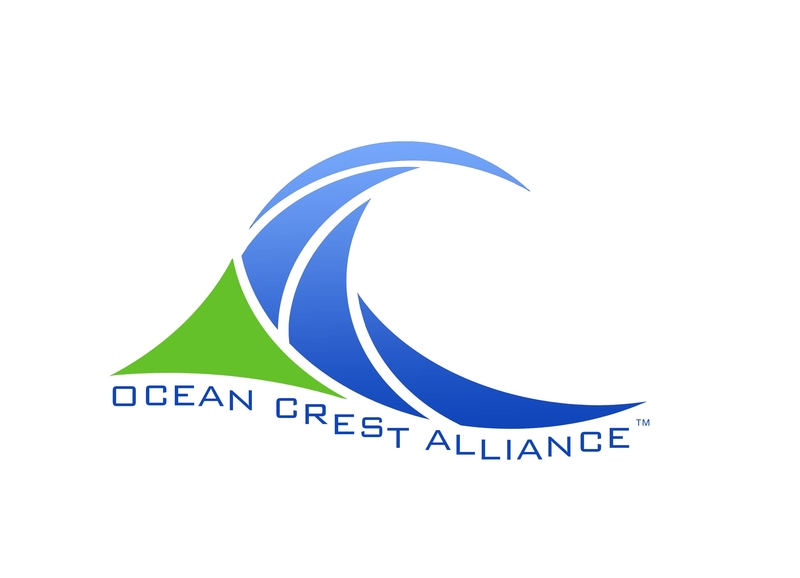 The activities will take place along the Florida coast and into the Bahamas working with the Ocean Crest Alliance team to collect vital data needed to further proposed MPA’s under consideration. The surprising science that shows how being near, in, in or under the water can make you happier, healthier, more connected and better at what you do. Beautiful 3 bedroom/4bathroom home on the Gulf of Mexico on Palm Island Resort. Come join us and be a part of a great ocean stewardship movement while enjoying beautiful Palm Island Resort, Cape Haze Florida, as we honor our Oceans. Meet famed oceanographer Dr. Sylvia Earle, Greg Jacoski Director of Guy Harvey Ocean Foundation, Dr. Billy Causey of NOAA, Dr. Bob Hueter of Mote Marine Laboratory and celebrity guest Sharon Kwok Pong; all making a special Tribute to Dr. Eugenie Clark the Founder of Mote Marine. Bid on amazing silent auction items including a once in a lifetime manned submersible expedition being offer by Project Baseline onboard the state of the art research vessel Baseline Explorer — come see the 2.5 million dollar manned submersible onsite for your viewing pleasure!! Enjoy fine dining on delicious prepared foods featuring sustainable menus of Lionfish, caviar, locally grown vegetables and more!! We look forward to seeing you there!